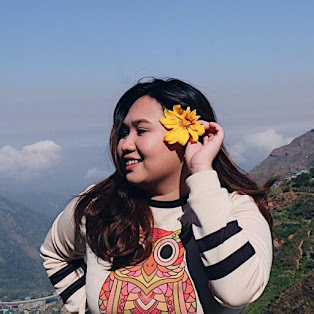 In just 2 easy steps, you will be given a chance to BE SEEN ON THE BIGGEST INSTAGRAM FEED IN EDSA. 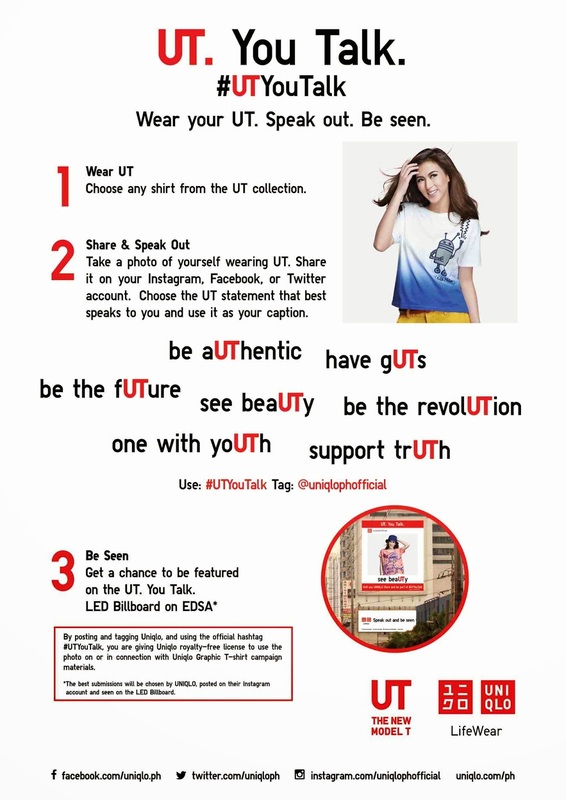 Just take a picture of yourself wearing any of the new UT collection of Uniqlo and upload it on instagram, twitter or facebook with a caption of any UT statements that best describes you. Use the hashtag: UTYouTalk and tag @uniqlophofficial. You might be surprise when you see yourself on the UT. You Talk. LED billboard on EDSA! If you want, you can go to SM Clark. It's the nearest place in Tarlac that has a Uniqlo branch. great product but having a little problem locating stores outside metro manila. That's true. They have few branches here. Japanese and foreigners alike love to wear Uniqlo here in Okinawa, Japan. Yes you should :) I heard, Uniqlo stores in Japan are really nice! Since the brand is from there. I'm looking forward to visit their store in Japan in the future. great share! I am not into this, but I'll share this to my fashionista friends.. They will surely love to be part of this. Thanks for the info! Oh, this must be fun. Those shirts are affordable too. Great products! I really find this kind of marketing promotion very effective because it has a challenge; it asks its customers to act/do something. And I also find the UT - You Talk very witty. I believe that Uniqlo is one of the best clothing line. I can say that some products are pricey but its all worth it. Love it! Join and be part of the campaign. I would love to see your entries 😊 Btw, I really appreciated your comments! Wow that's nice. Good thing there's a branch in SM Aura. Leggo! This is one clever experiential marketing that Uniqlo adopted and it resonates to the youth.